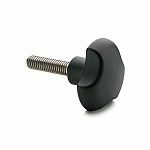 Hand knobs and thumb screws are available in many styles and materials to be used for pushing, pulling, tightening, loosening and as fixed handles. They are widely used in various applications from industrial and construction machinery to lighting and audio visual equipment. 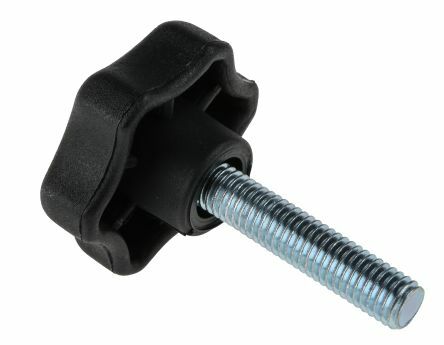 The knobs are fitted with either a protruding screw or threaded inserts in a range of thread sizes. Star knobs – Their shape allows a good grip to be easily turned by hand. They have a varying number of lobes (arms) and are selected depending on the grip and pressure required. Ball knobs – Ideal for use with handles and levers. Thumb screws - Can be fitted in confined spaces and offer a greater grip that a plain nut and can be tightened by hand or with a tool. 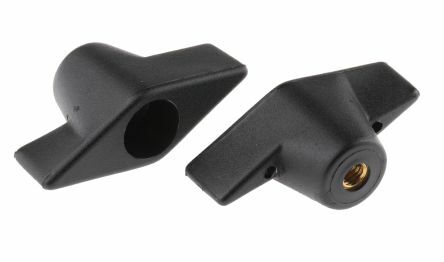 T - Knobs – Easily fitted and gripped with an ergonomic design for quick control adjustment. 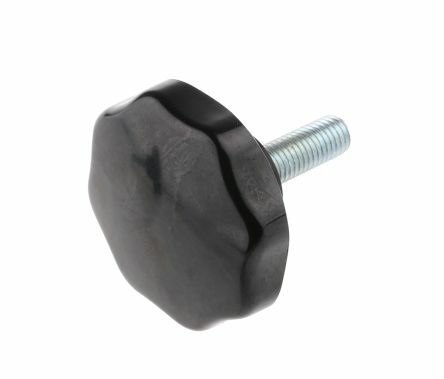 Nylon Polyamide 6 knobs with stud, female inserts and through threadZinc plated steel studs and alloy female threadingsMatt black finishWorking temperature -30°C to +85°CMelting point +215°CTolerant of weak acids, with excellent resistance to chlorinated hydrocarbons. 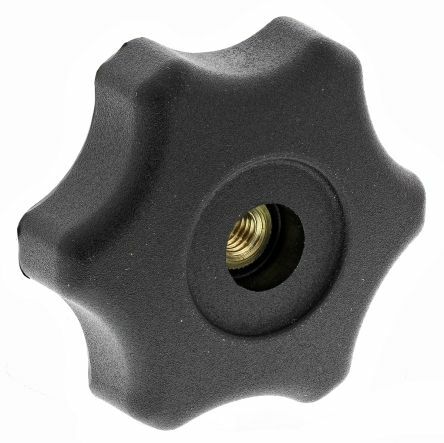 ABS matt black plastic knobs with zinc plated steel male studs or light alloy female threaded inserts. Span 50mm.